Adult enrollment in higher education grew by more than 50 percent between 1991 and 2011, according to U.S. News & World Report. This trend shows that today’s educators and corporate trainers must adapt to the different needs, learning styles and challenges presented by teaching adult students. Adult students truly latch onto lessons they feel are relevant. They have to understand how the skills they learn will improve their daily lives. If they believe a lesson will have a measurable impact, they will be far more likely to be engaged and internalize the lesson. How can this be achieved? Education resource eLearning Industry recommends considering the “real value in the educational experience you’re providing.” While teaching adults, educators and trainers should consider the real-world impact on how a person works or interacts with family. 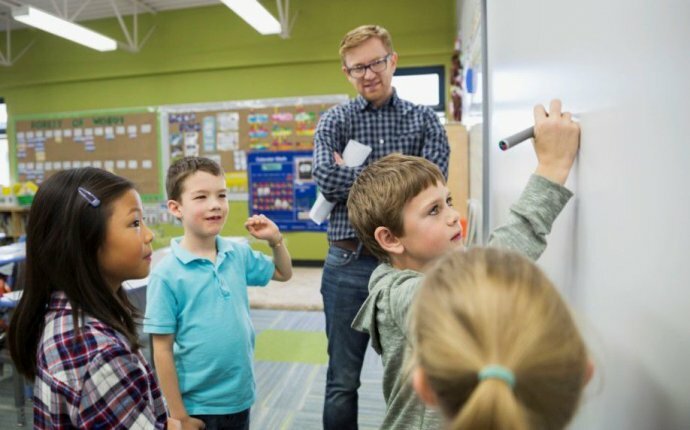 Remind adult students that a math lesson can help them better understand what they do every day or that the course will give them the experience they need to advance in their careers. Real-world outcomes will inspire an adult student to put forth more effort in a course. One of the many differences between adult learners and their younger counterparts is experience. Adult education has to draw on the fact that students have far more life experience. This means that your educational content must reflect the level of education they have completed, what their daily lives are like and what they are looking for out of a course. If you’re teaching a certification class for engineers, you have to use the terminology and concepts they use on a daily basis. Failure to do so makes your course seem less relevant. Successfully teaching adults means remembering that these learners often identify more with content that is emotionally driven. This will make your course more relatable and can give positive encouragement and motivation that a student needs to succeed. This can be achieved through storytelling. Draw on real-life experience, whether your own or your students’ experience. Create a visual element to accompany the lesson and attempt to weave interactivity throughout. When content has an emotional connection to adult students, they will pay more attention to the lesson. Traditional student populations enjoy being taught, but adult learners would prefer to explore a topic on their own. This format is often called “didactic teaching, ” according to Adult Education and Lifelong Learning: Theory and Practice. In didactic teaching, activities and assignments are designed to give students the chance to learn on their own. The central theme of a lesson is a question or problem that needs to be answered or solved. This lets students integrate their own personal experience into what they are learning. Teachers should offer group projects that inspire true collaboration and exploration. If your students can arrive at the topic on their own, it will resonate more. Adult learners are much busier than traditional students. They have jobs, families and countless other commitments to manage. That means assignments should be convenient to complete. Small blocks of text, bullet points and numbered lists can help make content far more digestible than long readings. Some assignments can even be completed via mobile devices, so students can finish them anywhere. When you offer more opportunities for students to finish assignments, they are more likely to do them. If students make an error, offering immediate feedback can make the lesson much more effective. When students are unable to grasp a concept, offer an alternative approach or explanation. This gives students the chance to make mistakes, but learn from them quickly. Waiting too long to give feedback is never advised but especially when teaching adults. This can lead to missed opportunities. - What are instructional strategies for teaching?